I have been on the trail for a month now and in some ways it feels like time has gone by so quickly, and in other ways I feel like I’ve been here much longer. You tend to get stuck in a strange time warp out here. The days seem to fly by, and yet those last two miles on a 20 mile day seem to take forever! I’ve just reached Erwin, Tennessee, which is around mile marker 342. For the past 170 miles or so, I’ve been walking along the border of North Carolina and Tennessee, but soon will be turning further northward and staying within Tennessee until reaching Virginia in another 130 miles. The group I have been traveling with and I have opted to take a “zero day” after spending the past few days in difficult weather conditions and simultaneously covering some big miles for us. For the past three days, we endured frigid temperatures and a high sustained wind that was strong enough to knock a person over. I often awoke in the morning, quite reluctant to get out of my sleeping bag, to find my water frozen and a layer of snow surrounding my tent. 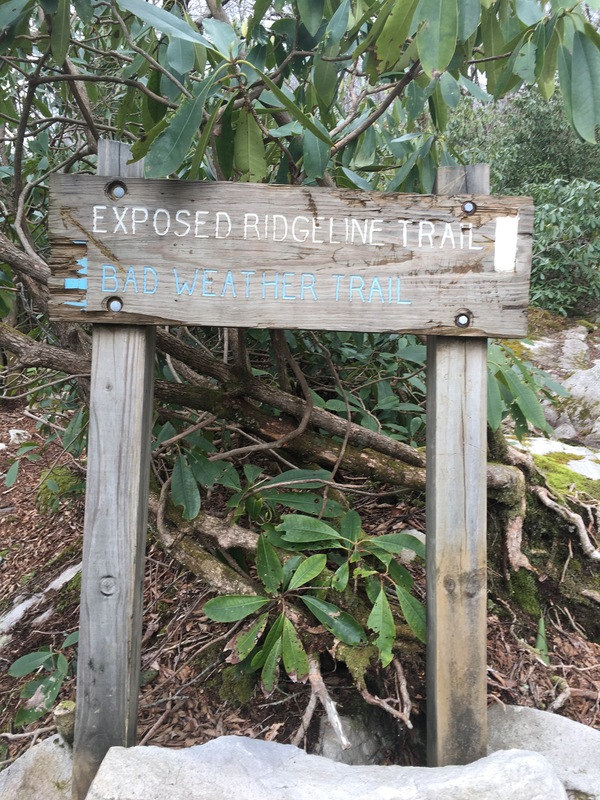 One day, as I was making my way on a rocky and exposed ridgeline along the western edge of the Appalachians, the dark, heavy clouds began spitting hail and rain. Another day, as I summited Big Bald – a beautiful, treeless expanse rising above the surrounding mountains – the wind gusts were so strong, I had to lean in hard against it to stay on my feet. It was unfortunate, because the views at these places were stunning, but I was unable to linger nor take good photographs due to the weather. Prior to this trek, I would have told you there was no way I could sleep outside in sub-25 degree weather, hike up mountains in hail and snow, or cross ridgelines with winds gusting at 40 to 50 mph. So how in the world does one endure such inclement weather? Well, you just do it, is the simple answer. Sure, certain preparations are absolutely necessary: a sleeping bag rated for cold temperatures, a good tent, warm layers including a down jacket, gloves, hat, etc. These things are easy enough to procure, it’s getting over the psychological barrier that’s the true challenge. Yet, though I kept praying that the forecast would somehow be wrong and that we’d end up with warm temperatures throughout the hike, when the freezing temperatures, bone-chilling winds, and icy precipitation struck, I had to make a choice: trust my preparations and continue on, reassuring myself that all would be ok, or call the hike good enough and make a hasty retreat back to civilization. I and my hiking companions chose the former, and while not the most pleasant hiking experience, we made it through. 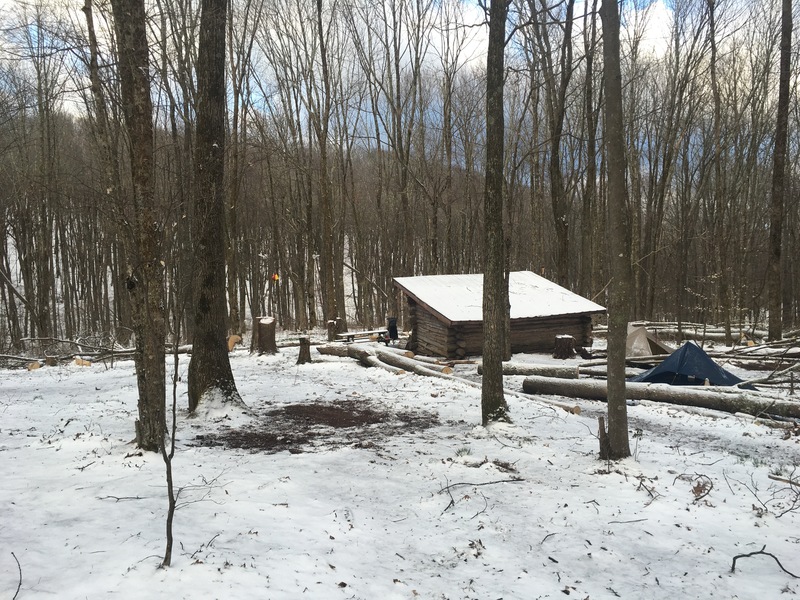 Not only did we survive, but we gained confidence that we could handle the weather extremes that typify the Appalachian Mountains. I will also say that the sunrise I took in amidst the snow and frigid temperatures was one of the most beautiful I had witnessed yet. It’s truly amazing what we miss out on because we fear discomfort. So go ahead – make all due preparations then get out and face your fears; you will not regret it!